When I saw author Adrian Beck and illustrator Heath McKenzie had a ‘Design-an-Alien Competition’ for their latest book The Alien Zoo…and You, I knew our three Year 4 classes would be up for the challenge! We looked at the alien creatures Adrian and Heath had already created in The Alien Zoo…and You. We talked about how we could mix up animals to create our own alien creatures for the Alien Zoo – what they could look like, how they could move, special features or characteristics etc and then everyone got to work designing their own alien creatures. The Year 4 students were excited to see some of their aliens feature in Adrian’s video updates of the entries he had received. 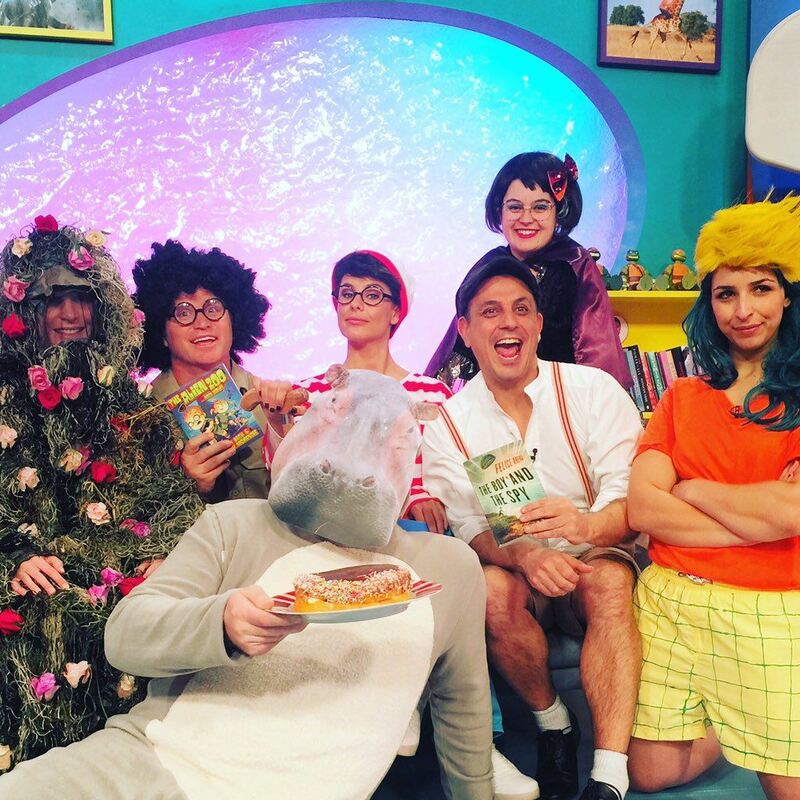 Adrian shares some entries with Lauren Phillips and Shane Crawford from Kids’ WB. Adrian looks at more entries with author Felice Arena. Today the winner of the Design-an-Alien Competition was announced by Adrian and Heath. They had over 300 entries from around Australia which made it an incredibly difficult decision to choose only one winner! Thanks Adrian and Heath for your fun competition and encouraging so many kids to unleash their creativity! 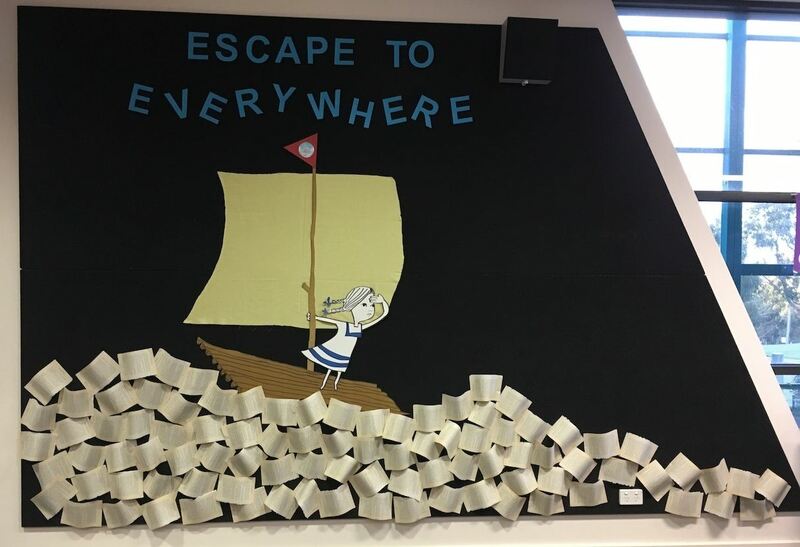 On Friday of Book Week, our Prep – Year 2 students are eagerly looking forward to a visit by the very talented picture book author and illustrator, Anna Walker. We have been reading, enjoying and discussing some of Anna’s picture books as well as watching the book trailers she has made about her books. Anna taught herself how to make stop motion animation and she explains how she made Mr Huff HERE. We are beginning to recognise Anna’s style of illustration and we are very impressed with how patient and particular she is when creating her illustrations. We have also been doing some art work for Anna’s visit and we can’t wait to meet Anna in our library next Friday! If you have one of Anna’s books you are welcome to bring it along on Friday for Anna to sign for you! These are book trailers Anna has made for her books Peggy, Mr Huff and Florette. We also enjoyed seeing Anna’s cosy studio where she creates her picture books! One of our Prep students was very excited when she visited her local library on Monday…. I went to the library on Monday. I chose my books to borrow and then I heard about the Reading Dog and then I read a book to him. When I finished reading I gave him a treat to say thank you and I walked out of the library with him. It was fun reading to the friendly Reading Dog. I’m going to visit him on another Monday and I will love it! 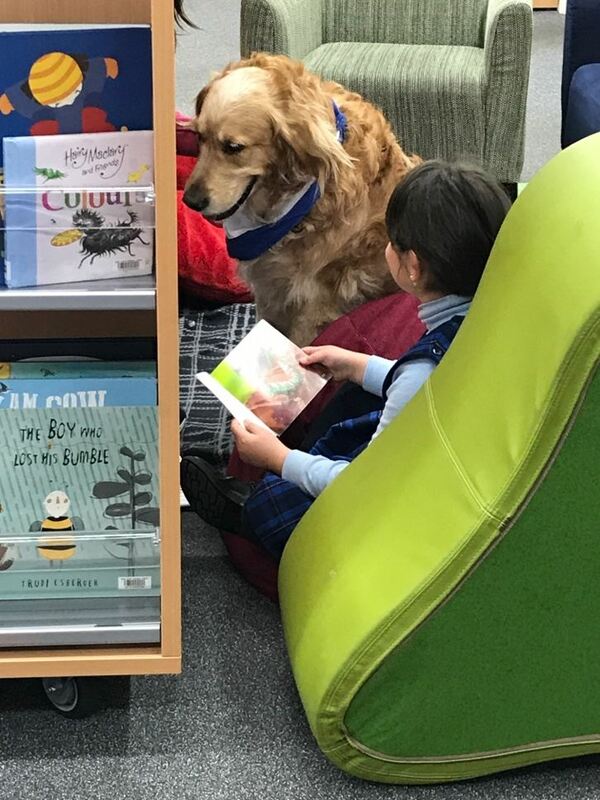 Our Yarra Plenty Regional Library has an after school program called Doggy Tales where children can read to friendly and supportive Reading Dogs. You can find out more at your local library branch.